National Bureau of Investigation had arrested Ferdinand Guerrero after almost a year of manhunt on January 25, 2015. The 54 year old is one of the men charged together with Cedric Lee of allegedly illegally detaining and mauling host-actor Vhong Navarro. Guerrero had been arrested after an unnamed informant reported seeing the businessman frequenting the Ritz Tower in Ayala Avenue. 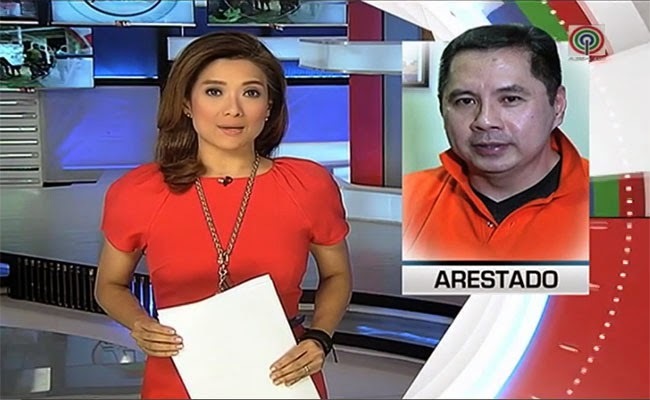 Guerrero apparently owns a unit in the said high end building and had been visiting the place for two months as shared by chief of NBI’s anti-illegal drugs unit Augusto Eric Isidoro. According to Isidoro as reported by Inquirer, the investigators for the case had been trying to get into the said property but failed as the security in the building had been strict. On January 25, a break had finally been done after some personnel successfully distracted the security guards in the reception while some agents secretly talked with the head of the building’s security who finally agreed to take the team to Guerrero’s unit. They were met by his sister who refused to let them in but eventually they were able to talk with Guerrero’s father who brought his son out saving the team from from the trouble of searching the whole suite. Guerrero remains in NBI’s custody until Pasig Regional Trial Court gives commitment order to know if he will be transferred to the Taguig City Jail. Guerrero strongly denied his involvement with Navarro’s mauling saying that had he been one of those who did the beating to the actor, worst could have happened sing Guerrero is a martial arts black belter and had been into boxing for 5 years. He also said that he was outside the Makati Condominium during the incident and only went up the unit after hearing the news about Denise Cornejo. Upon arriving in the unit, Navarro was already beaten up.